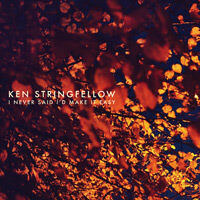 Indtast din e-mailadresse for Ken Stringfellow relaterede nyheder & opdateringer. Triple-gatefold softpack CD, with booklet. Includes immediate digital download as high quality mp3 or uncompressed AIFF files at 16 or 24 bits. Ken Stringfellow - musician, songwriter, producer, arranger - has been part of the indie landscape since the debut of his acclaimed band The Posies in 1988. Hailing from the musical hotbed of Seattle at the time when that music scene exploded into national prominence, The Posies went on to sign with Geffen Records and released brilliant, successful albums such as 1993’s legendary "Frosting on the Beater". The band is still active today, having released their seventh album, "Blood/Candy" in 2010...an album heaped with critical praise in the UK press...The Word magazine devoted two pages to a review which called it "a finely calibrated....dazzling tapestry...just stupidly good". In addition to his groundbreaking work with the Posies, Ken was part of rock legends Big Star, one of the most acclaimed and legendary groups of all time, from 1993 until the death of Alex Chilton in 2010. Ken played bass, sang and helped create the band’s 2005 album "In Space", their first since 1978’s timeless "Third/Sister Lovers". He’s still frequently called upon to perform, speak about, and celebrate the music of one of the cornerstones of indie rock. Ken also spent ten years on the road and in studio with R.E.M., appearing on two albums (2001’s "Reveal" and 2004’s "Around the Sun"), and propelling the band on keyboards, bass, guitar and accordion during headlining slots at Glastonbury, Rock In Rio, Rock Am Ring, etc as well as on TV shows such as Top of the Pops, Saturday Night Live, Later With Jools Holland and countless others. The list of collaborations goes on: guitarist in punk legends Lagwagon; producer/engineer on albums for Damien Jurado, the Long Winters, China’s Hanggai, and dozens more; onstage and on-album appearances with Snow Patrol (keyboards on their landmark "Eyes Open" album), Neil Young, Patti Smith, Mudhoney, Death Cab For Cutie...to list all his work over the years would add up to hundreds of albums and thousands of live appearances. Then there’s his solo work. A scant three albums over the last two decades (1997’s "This Sounds Like Goodbye", 2001’s "Touched", and 2004’s "Soft Commands"), all garnering high praise in Pitchfork, Mojo, NME and other incontrovertible indie rock media. 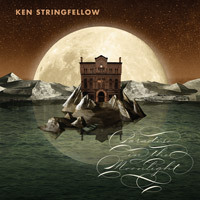 The albums mix Ken’s deeply expressed, emotional singing with delicate support: acoustic, electric, electronic, chamber--Stringfellow is adept at many styles. His shows are legendary, pushing minimalism to its core definition, often performing without using the house PA, Ken’s voice soars, cries, leaps from barely audible to room-filling anguish, joy, sorrow and humor. Ken’s live show has been raved about in packed audiences from Lithuania to Lima, from Taipei to Tasmania, from Johannesburg to Trinidad. Ken is set release his fourth album, "Danzig in the Moonlight" October 1st on Lojinx in Europe. The album was recorded at the legendary ICP Studios in Brussels, and mixed by up and coming production team TheLAB in Los Angeles. Ken also received contributions from musicians in Mumbai, Italy, Seattle and more; Charity Rose Thielen from buzz band The Head & The Heart joins him on "Doesn't It Remind You of Something" which is what Lee Hazelwood might have co-written with Leonard Cohen. The album has moments of fearsome electro-tinged menace, balanced with some of the most intensely intimate fragility you're likely to encounter on record this year. 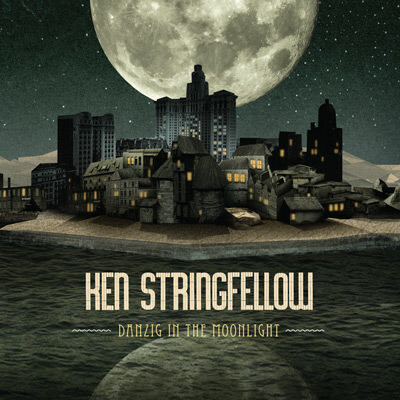 Like Stringfellow's lifestyle it's multi-national, genre-defying, challenging and deeply musical. Ken will tour Europe throughout the autumn in support of the album. Danzig In The Moonlight by Ken Stringfellow is out now on CD, digital & heavyweight vinyl double LP.